Matthew Good isn’t afraid to wear his heart on his sleeve. 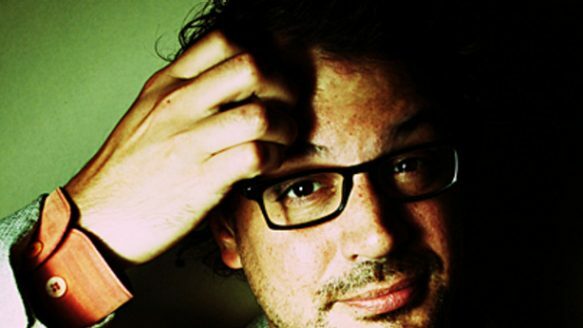 West-coast musician and activist Matthew Good, 38, has a reputation for being outspoken about social problems. With ‘Vancouver,’ his eighth album of original material in 14 years, Good is true to form. On Vancouver, in stores Tuesday, he’s wearing his home on it as well. Either way, he’s not mincing his words, notwithstanding the fact the upcoming Winter Olympics have raised the profile of his hometown. “I use the city primarily as a backdrop and my own personal history in terms of living in the city is implied over top of it,” Good, 38, explains in reference to the title and contents of his eighth album of original material in 14 years. “There are certain songs where I’m very direct, and that is the most direct song on the album,” says Good, who blogs about current affairs at matthewgood.org. “That song is very much about the hypocrisy within Vancouver in which you can take a cab from this nation’s poor urban neighbourhood to one of its wealthiest in seven minutes. His search for truth first drew Good to public attention in 1995 with the independent Last of the Ghetto Astronauts. Anthems about cultural obsession (“Apparitions”), medication-fuelled ADD (“Hello Time Bomb”) and the capacity for self-destruction (“Weapon”) have found him to be a lyrical mastermind when it comes to astutely deconstructing social and personal psyches, a consistent ability that fuels his uniqueness among Canadian songwriters. Witness 2007’s Hospital Music, a collection of songs emanating from a breakdown he suffered that was triggered by the shock of an unexpected divorce. It led to Good being diagnosed and properly treated for Type 2 bipolar disorder, bringing him some much-needed relief and peace of mind. Good’s ordeal also opened his eyes to the state of mental health treatment – and the plight of the homeless who go untreated. Good, who will wind down his 34-date Canadian tour to promote Vancouver with a pair of Massey Hall shows Dec. 18 and 19, is living a happier life these days. He’s found new love, and admits his 2 1/2-old stepdaughter is the apple of his eye. “She’s so precious to me,” says Good. “Although I have a nephew who is 12 and a niece who is 7, who I watched grow up, I’ve never really had the day-to-day experience of being a parent. Be the first to comment on "Matthew Good speaks from the heart"